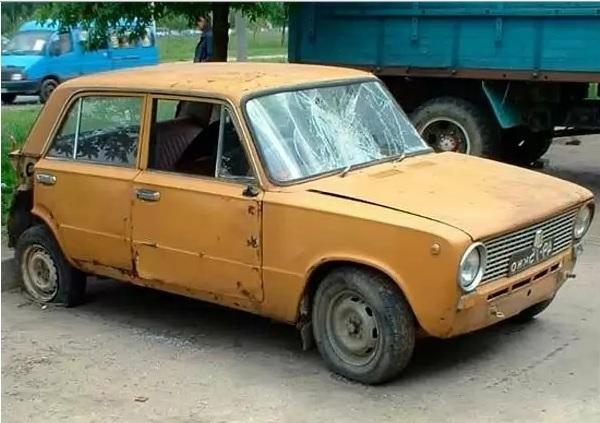 Started in 2014 in Russia, the disposal of cars will continue. In January 2015 the program of utilization of cars was resumed. It is planned that it will last until March 31 of the current year, on its implementation, the government has allocated 10 billion R. the aim of the campaign is to stimulate growth and prevent the fall of the auto industry. Unlike similar program for recycling of cars, which operated in 2010 – 11 years, under the new program covers all cars older than six years. While owners have the opportunity to exchange their old car for a new one under the program trade-in with a Supplement from the state 40 000 for a car and up to 300 000 rubles for a truck or a bus. To participate in the new program of recycling of cars can both physical and legal persons and receive the above discount on the purchase of a new car assembled in Russia, including buses and trucks. And allowed to change different categories of cars: a truck or a bus can be exchanged for a passenger car or Vice versa. to be in the ownership of less than one year. The purpose of this program is not only and not so much to reduce the impact on the ecology of cities and roads of the old fleet that does not meet new environmental requirements, mostly it is aimed at saving the domestic car market, which last year 2014 and new year 2015, shows a steady decline. It is also important to support the ruble after the autumn collapse. To avoid mass unemployment, to provide employment, to preserve jobs the government has made this decision. Previous experience had shown sufficient effectiveness of this program in the period, the domestic auto industry has received substantial support and was able to take a leading position on the market of sales of cars in our country. Officials hope that this time the growth of sales of cars of domestic Assembly during the implementation of this program will amount to 170-180 thousand cars. You should first find out which dealers in your city participate in this program and contact the dealership. After approval of the action the owner must issue a power of attorney to transfer vehicle to the dealer for disposal. Then you need to pay for disposal. Their size is 3000 R.
The act of acceptance and transfer to transfer to the dealer representative signed the power of attorney, a copy of the receipt for payment of the recycling fee and old car, on which documents are processed. Unfortunately, the receipt of cash on this program is not provided. In return, the dealer will issue a certificate for a certain amount, which is provided by the characteristics of the machine. With this certificate, the former owner utilizatsionnogo car must turn to this or another dealer for registration of the contract of purchase and sale of a new car. Details of the new program are detailed on the official website of the dealer. do not forget that to return the car to the scrap only to the end of March, so should hurry with the decision.